The much-awaited trailer of Student of The Year 2 is here and it is all about stylish action done by Tiger Shroff. The film launches Ananya Panday and Tara Sutaria in pretty roles. The makers of Student of The Year 2 have released its much-awaited trailer. The film features Tiger Shroff with debutants Tara Sutaria and Ananya Panday in the lead. While the trailer introduces the two gorgeous young women with all style and swag, it largely remains dedicated to Tiger and his larger-than-life action on-screen. The trailer also reveals that Student of The Year 2 has got a love triangle between its three leading characters much like how it was in the first part between the characters of Alia Bhatt, Varun Dhawan and Sidharth Malhotra. 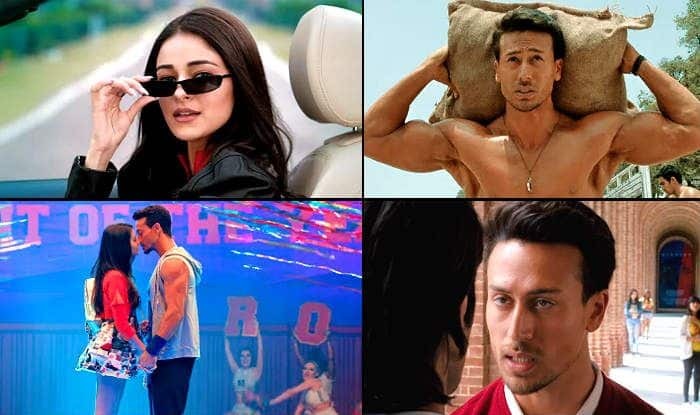 The highlight of the trailer is Tiger Shroff’s dialogue that he repeats twice in the entire video: “Din Tera Tha, Saal Mera Hoga.” The addition of the 70s popular Hindi movie track – Yeh Jawaani Hai Deewani in the story makes the entire film look more entertaining. Student of The Year 2 is directed by Punit Malhotra and produced by Karan Johar‘s Dharma Productions. The trailer was launched at a big event in Mumbai in the presence of the entire cast and crew. Also starring Samir Soni and Aditya Seal in important roles, Student of The Year 2 is slated to hit the screens on May 10. Watch out for the new batch!